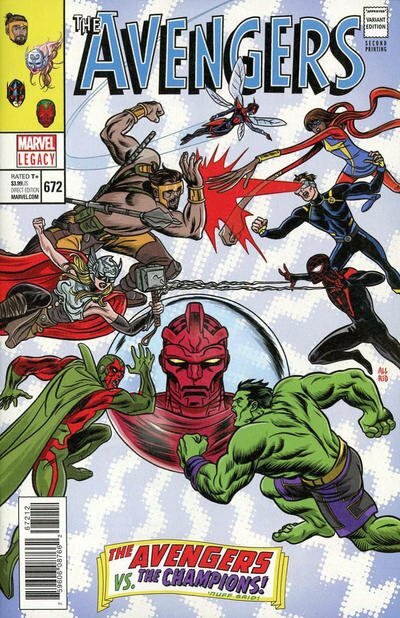 Click Here To See Avengers #672 Comic Book! 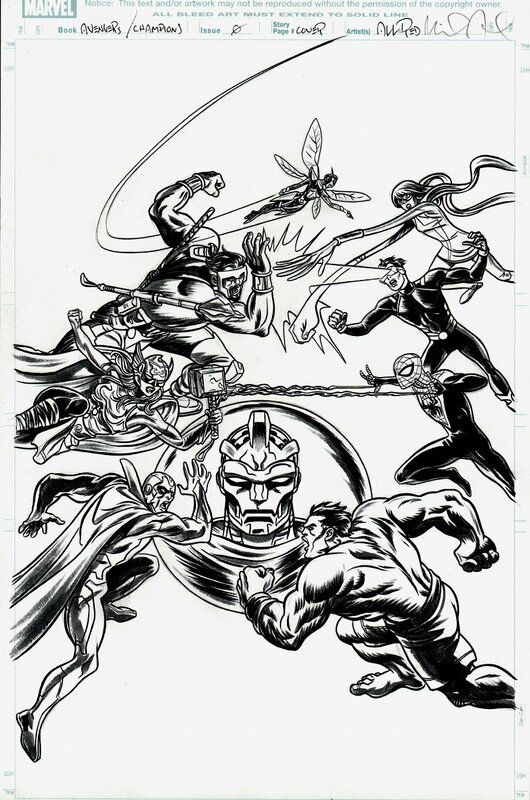 Check out this AWESOME AVENGERS / CHAMPIONS BATTLE cover, which was penciled by the great Michael Allred! This nice cover features: The Vision battling The Hulk, Thor (Jane Foster) battling Spider-Man, Hercules battling Cyclops, and The Wasp battling Marvel Girl! Following the events of GENERATIONS comes the long-promised clash between the Avengers and the Champions! The countdown has started as the High Evolutionary, a twisted scientist determined to create a better world at all costs, sets the Earth on a collision course with destruction! The Avengers and the Champions are ready to meet this threat - but will their first cataclysmic clash deter them from Changing the World?! Just a great cover! Compare this nice cover art to the published comic book in the red link above! ALL art on our website (including this one) are able to be purchased with VERY fair time payments, and trades are always considered towards "ANY" art on our website! Just send us an email to mikeburkey@aol.com and we can try to work something out.